Nicola Marter is a seemingly normal women, with an extraordinary gift. She can touch an object and see it’s past history. But she doesn’t like using her gift. She is afraid of being called a ‘freak’ and that people won’t accept her. So she hides her gift. While working in an art gallery specializing in Russian art, an old woman arrives with a wood carving of a firebird, claiming it belonged to Catherine the Great. Nicola’s boss doesn’t have any way of authenticating it and thus, it has no value to an art dealer. But when she touches it she sees that it was in fact given to a girl named Anna by Catherine the Great…..but how can she prove it? The women hoped to use the money from the firebird’s sale to take a dream trip around the world….and Nicola plans on figuring out a way for her to do just that. She plans on tracking down this Anna in the past somehow and seeing if there is a way she can prove that the woodcarving came from Catherine. In order to do that she will need a medium more talented than herself…..she must track down her ex-boyfriend Rob in Scotland. Unlike Nicola, Rob embraces his abilities and practices them constantly. He sees a vivid world full of colorful history and people. Rob is able to see the past without touching items and he can more or less pinpoint the time and people he is looking for. When Rob and Nicola visit the woman in Scotland, Rob gets a flash of a young girl in a castle in northern Scotland…Slains Castle. That’s where their journey begins….with little Anna in Slains Castle. What follows is a breath taking adventure and duel love stories set against the Jacobite rebellion that takes readers through Scotland, Belgium/France, and on in to Russia. Don’t let the Slains #2 fool you….this book could easily be a stand a lone book. I happened to have read The Winter Sea which is Slains #1 and there wasn’t anything in this book that made book #1 necessary to this story. In fact I was kind of wondering why even bother with the Slains #2 part of the title? When The Winter Sea ended I wasn’t under the impression that there was any need for a follow up book. This book was magical. I loved Anna much more than Nicola though. Nicola was so wishy-washy for me and I just could never sympathize with her throughout the novel. I always felt like she was feeling sorry for herself and would never accept her gifts. Even if she eventually reconciled them, I think it would be hard to believe it because she was almost too resentful and set against her gifts for me to believe that she could accept them. For me, this was the biggest issue in the book and the reason I didn’t give it five stars. I was too annoyed by Nicola to care how she developed as a character. On the flip side, I loved Anna. Every time that I had to stop Anna’s story to go back to the present, I was so annoyed! 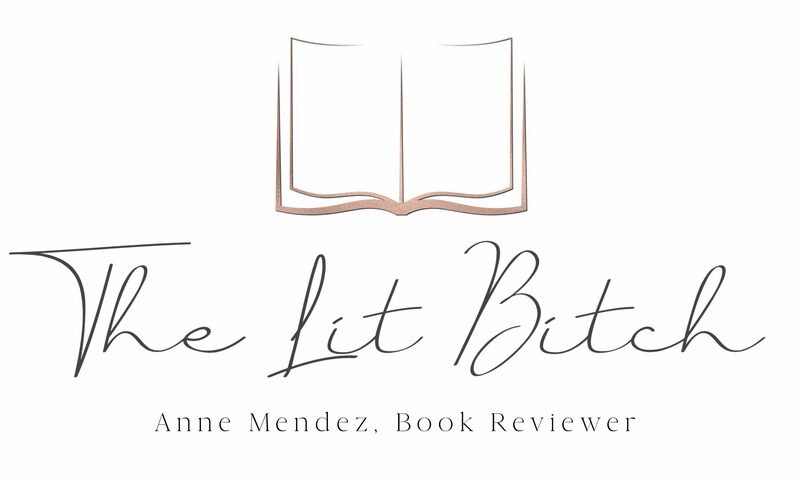 The author always ended Anna’s story in a great place, leaving the reader begging for more. Anna was charming and tough. She was so strong and charismatic that I just wanted to know everything about her. I enjoyed the love story that developed for Anna…..but I was hoping for more romance in Anna’s story. There was some tension and build up but I wanted more. Maybe I just wanted more of Anna’s story….I’m not sure but the romance between Anna and Edward left me wanting more, more and more because it was so good. Rob’s character was also one of my favs. He was ever the gentleman and yet I got this rugged, passionate feel about his character. I have read in some reviews that he is also in The Shadowy Horses, but again, I don’t think you would need to read any of her other books to enjoy this one. Though I do want to read The Shadowy Horses now because I liked his character so very much. As in The Winter Sea, I love how the stories toggle between modern and past. Having the stories span throughout multiple countries was also interesting. In The Winter Sea, it was mainly set in Scotland. But in this book, there are multiple countries with multiple tedious historic references. I enjoyed seeing how Russia played into the Jacobite rebellion and how everything would tie in together….I was not disappointed at all! The author has clearly done extensive research on the Jacobite rebellion as well as folklore from the Russian empire. I really enjoyed how she put everything together in the novel. It was very unique, educational, and enchanting. I loved the over all story, romance, and history all merging together. There weren’t any dull moments or times when I wondered if things were necessary….it was a solid read. For me personally, I liked The Winter Sea better. I think mostly because the sea and setting added so much atmosphere in the story that I just felt differently about it. This book because it was in multiple areas, I didn’t get the same atmospheric feel as I did with The Winter Sea. 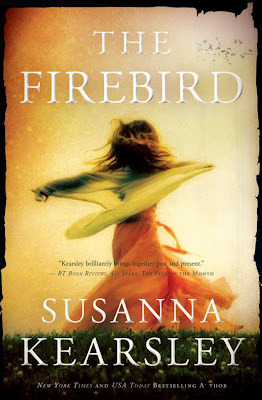 I also liked all the characters in The Winter Sea better….but that said there was a lot to like in The Firebird and it was uniquely its own story. I loved it all the same….it might be because The Winter Sea was my first experience with Kearsley’s books but both were good and worth reading for different reasons. Again, my biggest issue was Nicola’s character, for her being the POV narrator for most of the book, she was too hallow for me to really care about what was going on with her. Anna and Rob saved the book for me. Though I didn’t like Nicola, the book overall was magical and wonderful. There were enough good things to balance out Nicola’s character for me and make me want to keep reading. And one last thing….can I just say how beautiful and eye catching the cover is??? In a word….STUNNING! I love all the covers of her books but this one was so beautiful and it made me want to read it so bad. It literally sat on my bookshelf beckoning for me to read it. There are times when our victories have a cost that we did not foresee, when winning brings us loss. Ye’ll learn more of a man if ye look at his face when he’s looking at somebody else than ye’ll learn any other way. I felt much the same as you. Nicola annoyed me from the very beginning. Probably because I loved The Winter Sea and Shadowy Horses more. I knew Rob better as a child in the Shadowy Horses and related to him, perhaps because he embraced his gift instead of fighting it so much. Again I agree that Slains #1 & 2 were not necessary, they were good stand alone books. Overall though, I think Anna was my favorite. She had gumption.